A beautiful and handy addition to the kitchen, this Orla Kiely linear-stem small tray is perfect for smaller serving needs - ideal for tea, coffee, biscuits, etc. Made from birchwood with a melamine finish, it is a high quality and strong tray that looks great and wipes clean very easily. 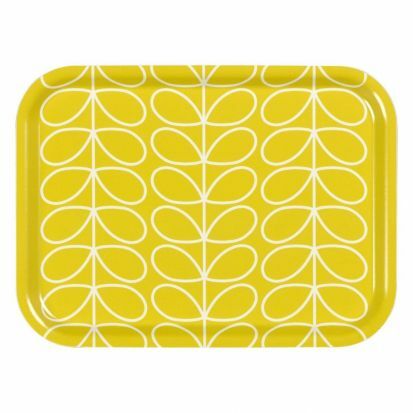 The yellow linear-stem design is distinctively Orla Kiely, and the reverse of the tray also has an Orla Kiely pattern featured - her signature "scribble" design.